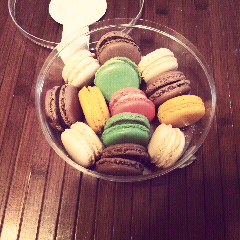 Macaroons are my favorite <3 Happy holidays! So sweet!!!! I like your blog, It's cute and original, I follow you. Looks yummy!! Thanks for the super sweet comment on my blog! I love yours, and I'm following you now!